Our new road bike tour for 2018 showcases the amazing Lake Annecy and surrounding mountain scenery and cols. 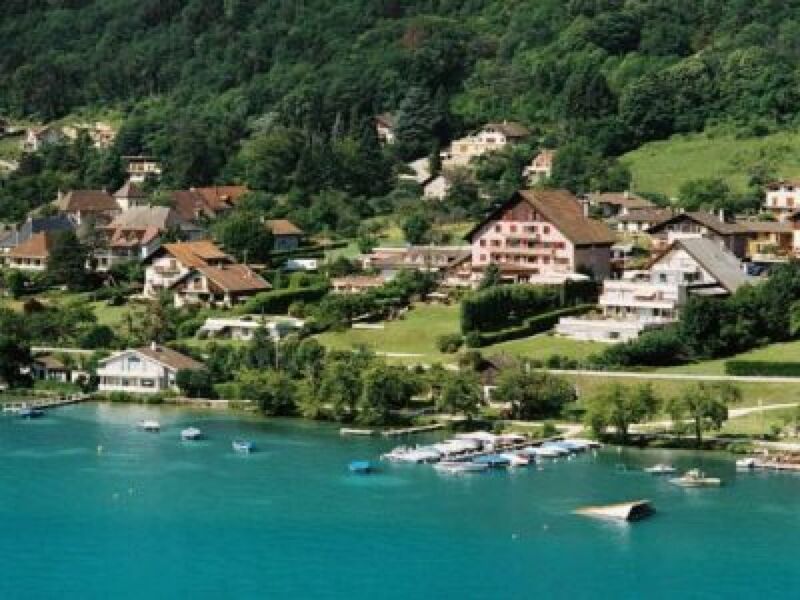 Lake Annecy and the area may be a somewhat lesser known area by cycling enthusiasts outside of France, but ask any local and they will tell you this area and the quiet roads and tree covered climbs of the nearby UNESCO Parc de Bauges make this a cycling mecca! Annecy is also on the doorsteps of the St Jean de Maurienne Valley (the largest uphill cycling area in the world!) and the Alps. We will take in the famous Col de Madeleine this week to earn ourselves the famous Myrtille tart — only available at the top! The cycling community in the area has grown as has the number of cycling cafes, and we ensure that our tour has a few stops at bASECAMP in Talloires (a cycling shop and cafe a few steps away from the shores of Lake Annecy and our chosen rental bike partner should you not wish to travel with your own bike). Other famous climbs on the tour include the Col des Saisies and the Col d'Aravis, which have featured in the Tour de France and Étape du Tour many times over the last couple of decades. Bookings are now live for our Lake Annecy tour for July 2018. There are limited spaces on the tour, so please contact us if you are interested — or schedule a private tour for six or more people!